“The Rookery” (1888) when it was opened it was the tallest building in the world. 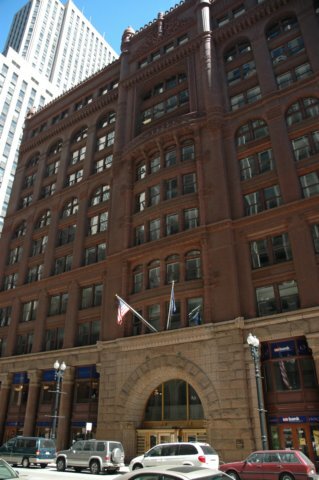 The influential firm of Daniel Burnham and John Wellborn Root designed it. Root invented the foundation of crisscrossing steel rails necessitated by the clay soils in Chicago.